Busy and changing lifestyle has resulted in the need for food processing equipment that are quick and efficient. The availability of raw materials and the need for wider range of food processing equipment is also boosting the growth of the market. Among the various types of food processing equipment, the equipment most in demand is the bakery and pasta equipment. The increasing disposable income of the people across the globe is fuelling the demand for food processing equipment. Frequent change in the preference for food, especially by the large population living in Asia Pacific is resulting in higher investments in these equipment and is also driving the market. Companies such as Bühler are making use of sensors, radio networks, and internet of things (IoT) in their new generation roller mill Antares PlusTM, which is a product for the grain milling industry. The sensors continuously monitor the temperature on rolls and bearings as well as for the particle size distribution of ground products. The roller mill is always adjusted to optimum grinding degree, thereby benefitting customers from consistent quality and increased yield. Such developments are expected to drive the market and ensure the progress of the food processing equipment industry. 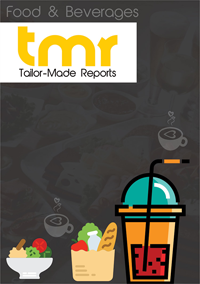 On the basis of geography, the global food processing equipment market is segmented into Europe, North America, Asia Pacific, and the Rest of the World. Of these, Asia Pacific is expected to witness a fast paced growth in the coming years. The large population base consuming poultry, meat, and seafood in Asia Pacific is driving the market in this region. Europe is another lucrative market for food processing equipment.